Rudbeckia have been fantastic this year, despite the best efforts of the weather Gods. 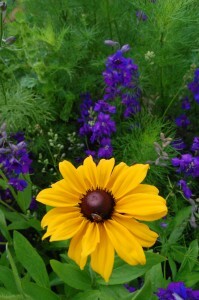 The above Rudbeckia seedling was grown in one of Karen’s paper pots and it seemed to love it. These Larkspur and Rudbeckia ‘Marmalade’ look fantastic together…some say Rudbeckia is old fashioned…so what! She is gorgeous!!! I can’t wait to sow some more early in 2013. 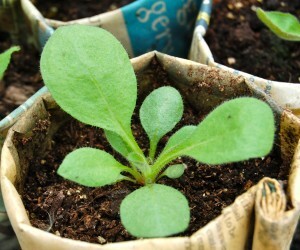 Calendula seedling	Autumn sowing of Cornflowers.